Thanks to Balloon Time for sponsoring this post! All opinions are my own! Few things say, “Celebrate!” like balloons! They’re perfect for birthdays, showers, celebrations, and even Fourth of July parties and barbecues! Do you want to know what’s even more fun than balloons at a party? How about confetti balloons that are super cute and simple to make?! Even though balloons are a fun way to decorate for an event, it’s not always convenient to run out to your local party supply store just to grab helium balloons. Wouldn’t it be amazing if you could quickly inflate your own helium balloons without even leaving the house? Guess what?! YOU CAN! A Balloon Time Helium Tank makes it exceptionally simple to make your own helium balloons without having to take an extra trip out for balloons. The tank is affordable, convenient, and effortless to operate and can easily be purchased at one of many local retailers. One jumbo tank can inflate 45-50 9 in. balloons. That means one of the Balloon Time tanks can get you through several parties! With Fourth of July coming up, we decided to use our new helium tank to make these easy and fun confetti balloons. They’re star-spangled with little star sequins popping around inside. A few of these would be the perfect way to add an extra element of fun and whimsy to your own backyard barbecues and Independence Day celebrations! 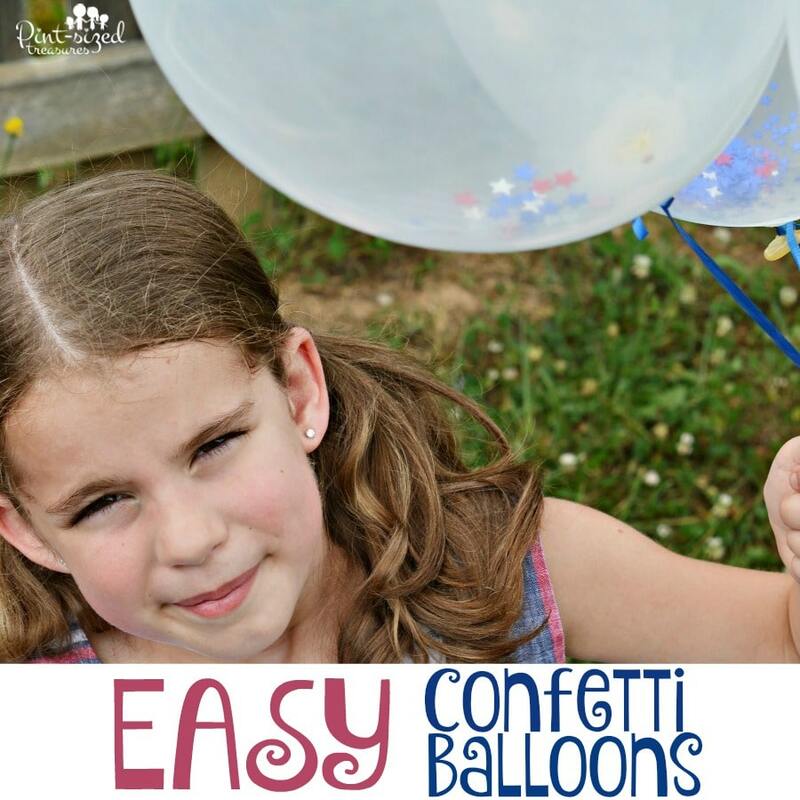 Kids love plain balloons, but these confetti balloons take the fun to a fun, new level. Try them out yourself and see! Instructions follow below! Slide a balloon over the funnel. Slowly sprinkle sequins or confetti into the funnel to guide them into the balloon. If any get stuck, just stretch the balloon some to work them through. Pull the balloon from the funnel. Place the opening of the balloon over the helium tank. Press down gently on the tanks nozzle to inflate the balloon. Pull it from the tank and tie it off. Tie a ribbon to the knot of the balloon and get ready to decorate!